We are a local business of arborists and tree care specialists having an overall consolidated 49 years of expertise and knowledge. 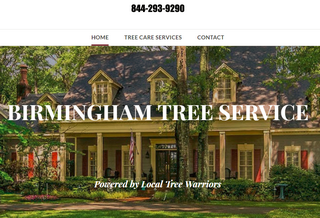 Established in 1999, Birmingham Tree Service is family managed and operated, starting with two trucks and a saw. Now, we operate a completely staffed (13 FTEs) and completely equipped tree care business that was built from the ground up. We deal with each customer like it was actually a family member, and we are privileged to be a proud civics member in the Birmingham business environment. We are honored to provide a one hundred percent client satisfaction promise coupled with economical service prices.